L.A.W. Construction Safety Consultants, LLC provides cost effective workplace safety solutions, training for your employees, staffing for your jobsites along with implementation of a safety culture for construction firms and media production facilities throughout the United States and in select international markets. Whether you are looking to improve your existing safety program or you are starting anew, don’t reinvent the wheel! Our safety procedures have been tested and proven to reduce needless accidents and expensive OSHA penalties all while boosting the morale of your employees. A safer workplace means fewer accidents which results in lower insurance premiums – which, in turn, maximizes site productivity and profits! 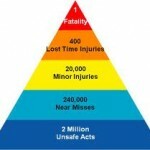 By educating your employees in the results of unsafe acts as well as teaching them how to complete tasks in the safest manner possible, the chances of major injuries and fatalities are greatly reduced. L.A.W. Construction Safety Consultants can help you implement a safety program which is customized to meet your company’s specific needs. Why have a company safety manual collecting dust on a shelf with information that doesn’t pertain to your business? Why purchase and download a “safety manual” over the internet from a company that has never spoken to you or knows anything about your specific trade? Not only do we create a set of policies tailored to your company’s needs, we train your company executives and management in the safety manual to ensure a proactive stance is taken from the very beginning. Hiring subcontractors to complete the work for you on site? Make sure they are qualified and in compliance with OSHA regulations by requiring them go through our Subcontractor Pre-Qualification program. A thorough review of their injury statistics, OSHA violations and safety manual will be conducted for all subcontractors performing work on the job site. We will also make sure all necessary documentation is obtained before the subcontractor begins. 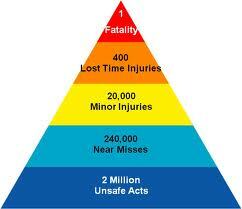 Having this information in place from the start will help keep you safe from OSHA violations in the future. OSHA has been updating so many of their regulations so be confident in knowing you are hiring a consulting firm that keeps up to date with all safety related news. We are in the business of protecting your most valuable resource. Click here to see the benefits of hiring a safety consultant compared to having a full time in-house safety person. L.A.W. Construction Safety Consultants was founded by Laurel A. Wimmerstedt to address the unique needs of contractors, construction managers, property owners and production companies. The overall goal is to reduce needless accidents, improve overall conditions in workplaces and be a vital source for clients in regards to new or updated standards which they must adhere to.